The British Museum just released its annual Treasure and Portable Antiquities Scheme report which announces archaeological findings made by members of the public in the preceding year. Among the whopping 82,272 finds reported in 2015 was a gold torc so huge it defies comprehension. Discovered by a metal detectorist on freshly ploughed farmland in East Cambridgeshire in September of last year, it is a four-flange spiral twisted bar torc dating to around 1300-1100 B.C., the Middle Bronze Age. Not counting the trumpet-shaped terminals at each end, the twisted bar is an exceptional 126.5cm (4’2″) long. The terminals are 108 and 107mm long, so just over four inches each, bringing the total length to more than 4’10”. At 732 grams (1.6 pounds) in weight, it is one of the heaviest bar torcs ever found in Britain and Ireland. The find site is within 50 miles of Must Farm, the extraordinary bronze age village in the shadow of a chip factory on the edge of Peterborough. The torc is of the highest quality in materials and manufacture. It’s made of 86-87% gold and 12-13% silver (the remainder is copper), so 20-21 carat gold by modern standards. The four flanges are between 3.3 and 5mm long and are twisted counter-clockwise so expertly that the gap between them is consistently between 2.25 and 2.5mm for the entire length of the bar. Circular collars are fitted seamlessly between the bar and each terminal. How exactly they were mounted archaeologists haven’t been able to figure out yet, possibly by use of a solder with a different melting point than the gold of the bar and terminals, but tests have found no variation in the gold composition down the entire length of the torc, so if solder was used, it must have been incredibly subtle. Torcs are usually thought of as jewelry worn around the neck, but unless there was an exceedingly wealthy and stylish Triceratops roaming around Bronze Age Cambridgeshire, this one cannot have been. It couldn’t have even been worn around someone’s waist. 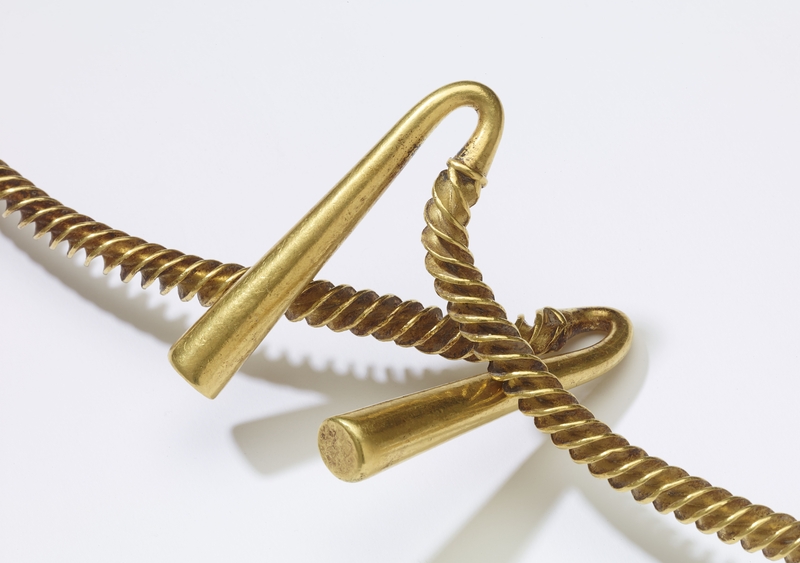 Because flange twisted torcs have never been found in burials, archaeologists don’t have any evidence to go on to determine how these giant torcs were worn. Suggestions include that it was worn as a sash, around the body from shoulder to hip, or possibly around the belly of a very pregnant woman as a protective talisman. It may even have adorned sacrificial sheep or goats. 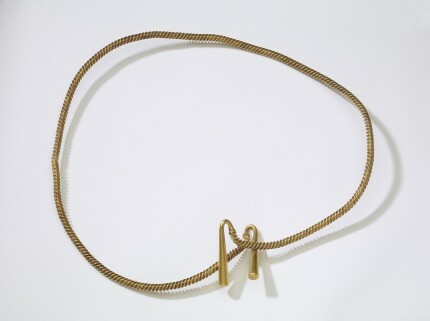 The finder, who has chosen to remain anonymous, did not record the torc as he or she first found it so all experts have to go on is the finder’s vague description of it as “loosely bundled.” It was coiled but someone, and no one is naming names, opened it up into a single large loop and crossed the terminals before the discovery was reported to the Finds Liaison Officer. 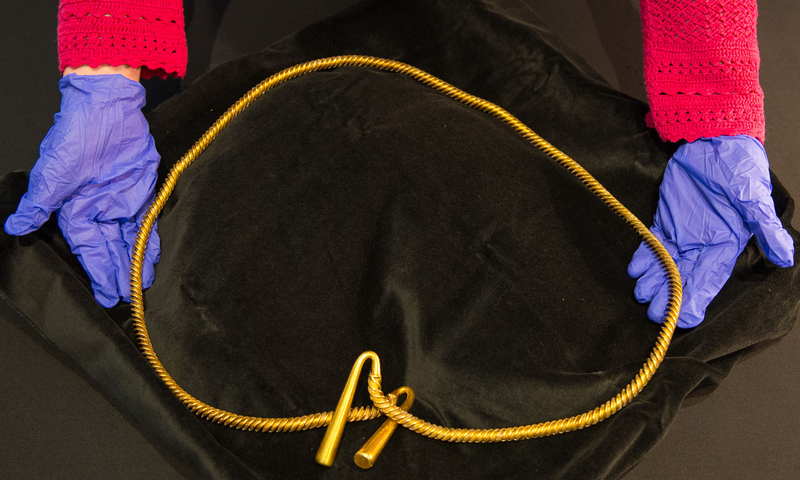 The torc was reported to Helen Fowler at a finds meeting at Peterborough Museum, who said she was “gobsmacked” when it came out of the finder’s briefcase. The last torc she had handled was bracelet sized, but this one was far too big to fit on her weighing scales and she had to borrow a box from the museum to take it back to her office. In addition to making it unwieldy, hard to weigh and materially altering a malleable, delicate archaeological treasure for no conceivable reason, the uncoiling damaged the flanges. In two places — about one third and two thirds along the length of the bar — the flanges are now distorted. In one of the spots, the edges of five twists have been scraped through the outer layer, exposing fresh gold. British Museum experts hope they’ll be able to figure out the original position of the torc at burial by examining the distorted places. 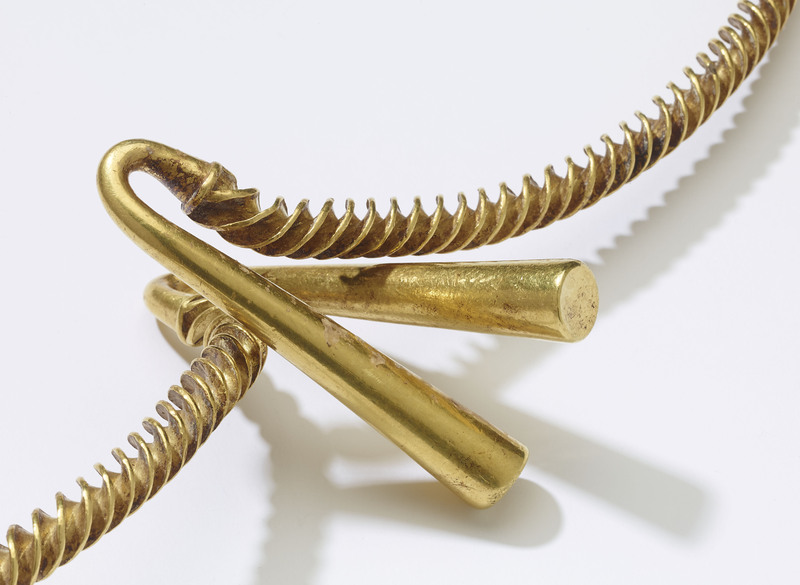 The torc has yet to be valued — a similar but smaller large-scale bar torc discovered in a bog in Northern Ireland in 2009 was valued at £150,000 — but whatever the final assessment, the Ely Museum hopes to acquire it. 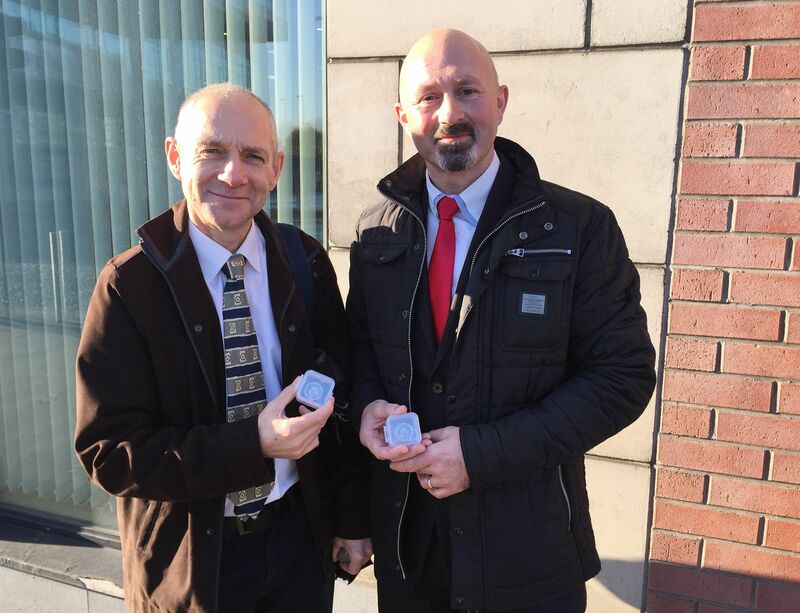 A metal detectorist has discovered two 11th century Viking silver coins near Newcastle in Co Down, Northern Ireland. Brian Morton was scanning a field last May when he found the silver pennies half an inch apart under four inches of mud. 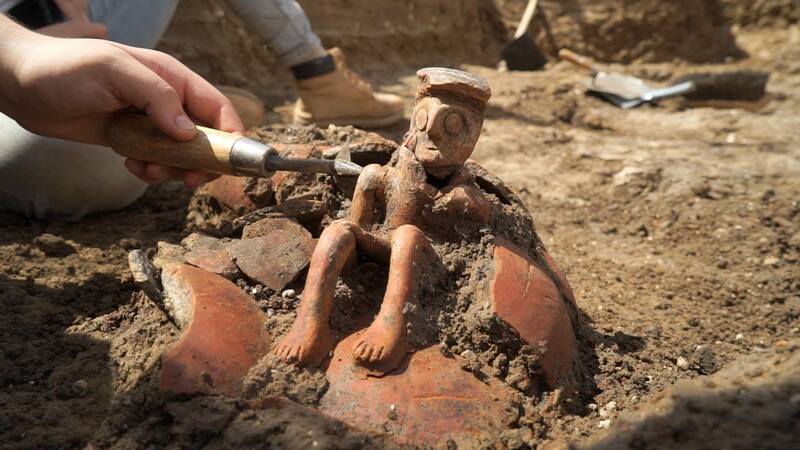 He didn’t know he’d found an extremely rare historical treasure. That was formally confirmed last week when a coroner’s inquest in Belfast declared the coins official treasure trove. Made of 93% silver, the coins are of a rare type known as Hiberno-Manx coins. The rulers of Mann in the first half of the 11th century were Vikings from Scandinavia and from Dublin. 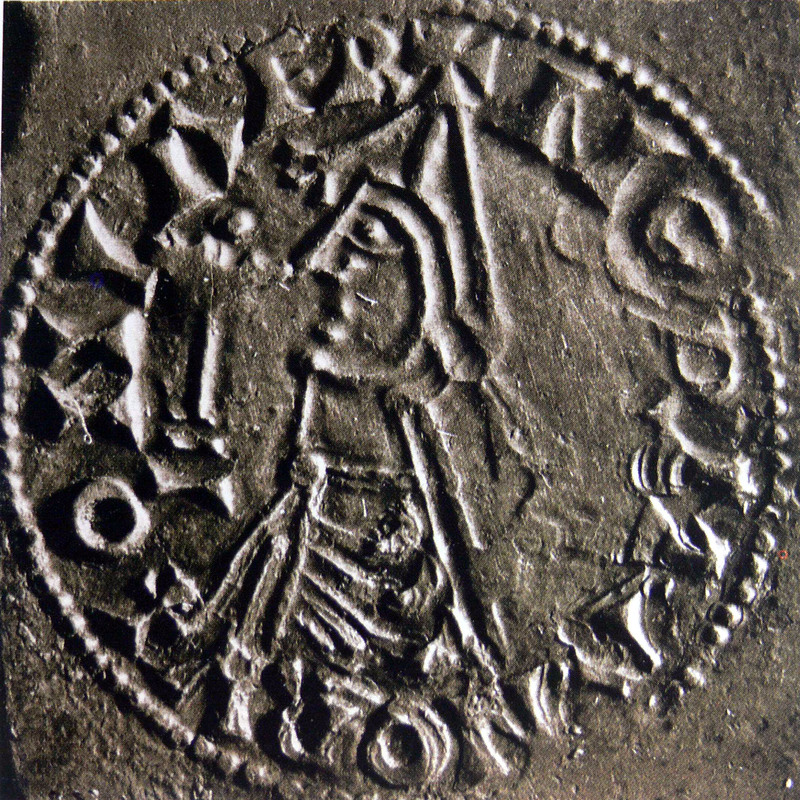 Olaf Sigtryggsson, King of Mann in the early 1030s, was the son of Sigtrygg Silkbeard, King of Dublin, and his wife Sláine, daughter of Irish king and national hero Brian Boru. Viking Dublin had its own mint and issued coins which copied English designs. The Hiberno-Manx coins were very rough versions of the Dublin designs. 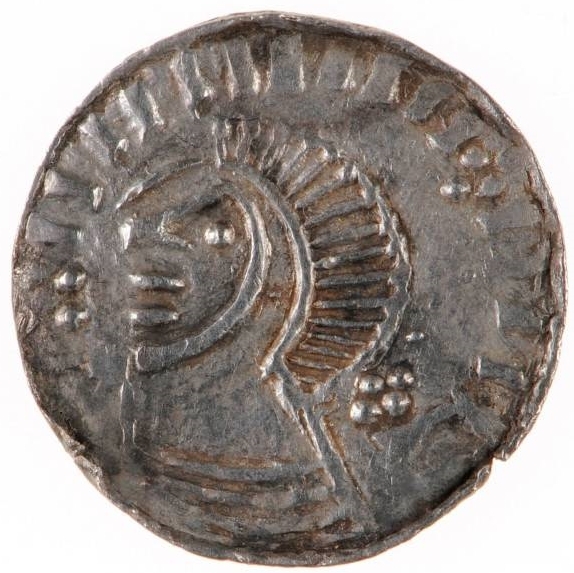 How the coins made their way to the Co Down hinterland remains uncertain, but one possibility is that they were taken during a Viking raid on a nearby monastery at Maghera, the court was told. The discovery may also reflect more peaceful trading or strategic links between the Isle of Man and south-east Ulster. 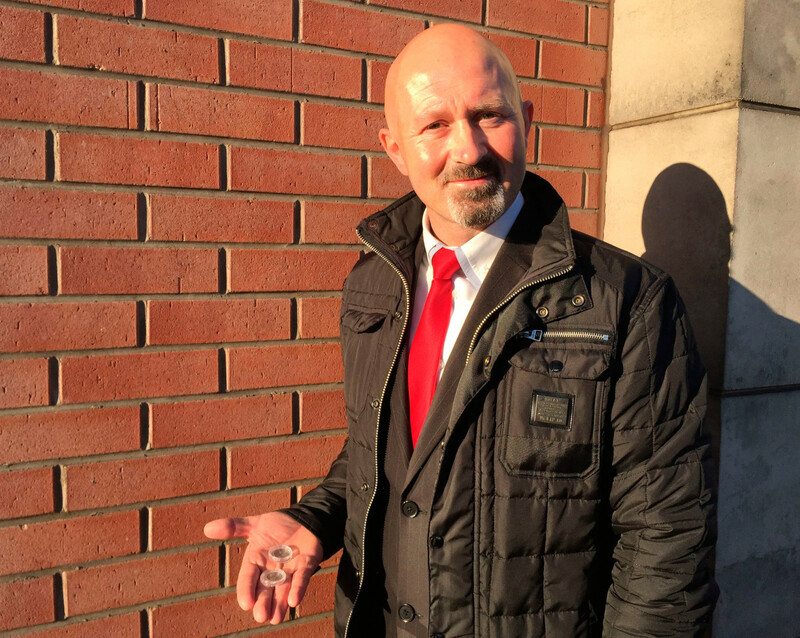 Robert Heslip, a former curator of coins at the Ulster Museum, said they were probably dropped by someone passing rather than deliberately hidden. Next up for the coins is a valuation by independent experts at the British Museum. They’ll determine the fair market value which will be ponied up by whichever museum wants the coin as a finder’s fee to be split between Morton and the landowner. Local museums are given the opportunity to secure the treasure first, and given the oversized historical significance of these small pennies, I have little doubt the National Museums Northern Ireland, likely the Ulster Museum, will snap them up. 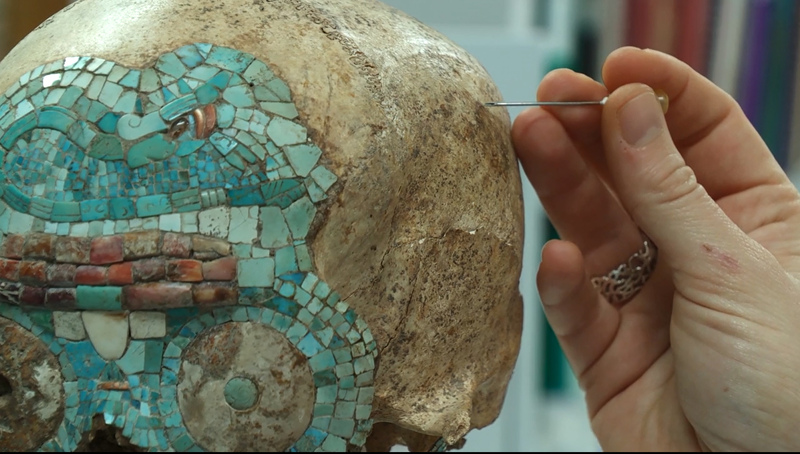 An ancient turquoise-encrusted skull acquired by the National Museum of Ethnology in Leiden, the Netherlands, back in 1963 has been discovered to be a forgery. It was believed to be a very rare skull made by the Mixtec people of Postclassic Mexico (1200-1600 A.D.) who were renown for their craftsmanship in metal and precious stones. They made skulls and masks inlaid with turquoise, pyrite, gold and obsidian. 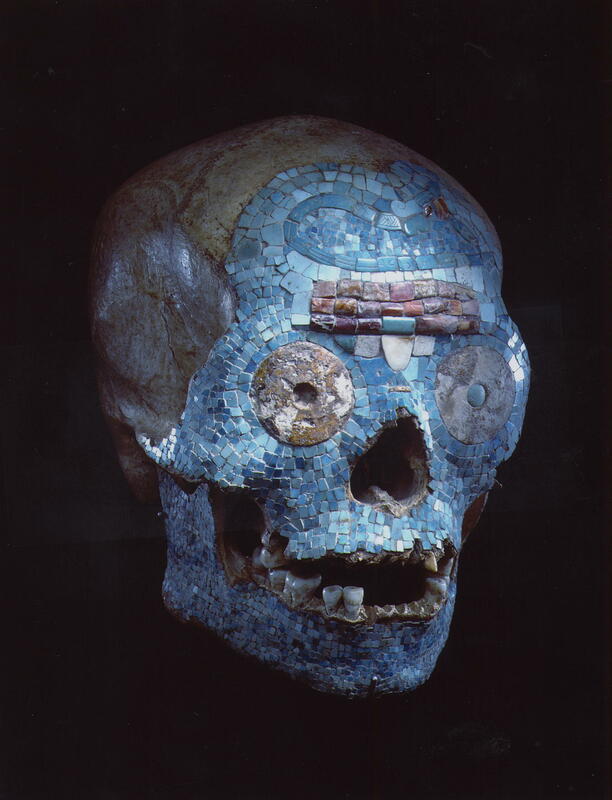 Only about 20 Mixtec skulls decorated with precious stones are known to exist, but they are all of questionable origin. Their find sites and finders are unknown. The National Museum of Ethnology bought theirs for the equivalent of about $20,000. Considered one of the greatest masterpieces of the genre, it is inlaid with small turquoise, shell and mother-of-pearl tiles all over the face, in circles around the eye sockets and larger rectangular tiles in the shape of a snake winding across the forehead. It was thought to date to around the 15th century. Research into its origins took a new turn in 2010 when conservator Martin Berger heard from a colleague in Marseille that a private collector had recently donated a similar skull with the caveat that he suspected it might be a forgery. Between 2012 and 2016, Berger took the skull to Paris and back to Leiden where he and his colleagues subjected it to extensive testing. 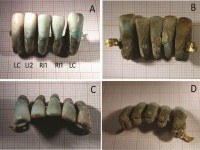 Radiocarbon dating and stable isotope analysis of tooth enamel samples found that the skull’s geographic origin and age indicated it was authentic Mixtec. The turquoise was authentic archaeological stone as well. There was but one element left to test: the glue. The Mixtec made adhesives out of pine resin and orchids. 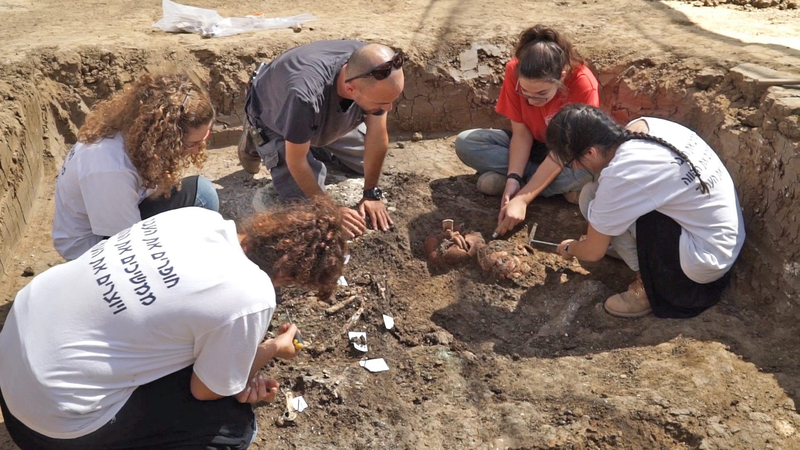 Analysis of the glue used to affix the mosaic tiles to the skull discovered that it was a 20th century product commonly used in art restoration. That means someone in the 20th century took a genuine Mixtec skull and stuck genuine Mixtec mosaic tiles on it in a plausibly Mixtec style. So it’s a counterfeit made on an authentic foundation. Conservators believe they know who might have done the job. There was a Mexican dentist working in the 1940s and 50s who was known to dabble in recreations of Mesoamerican artwork. 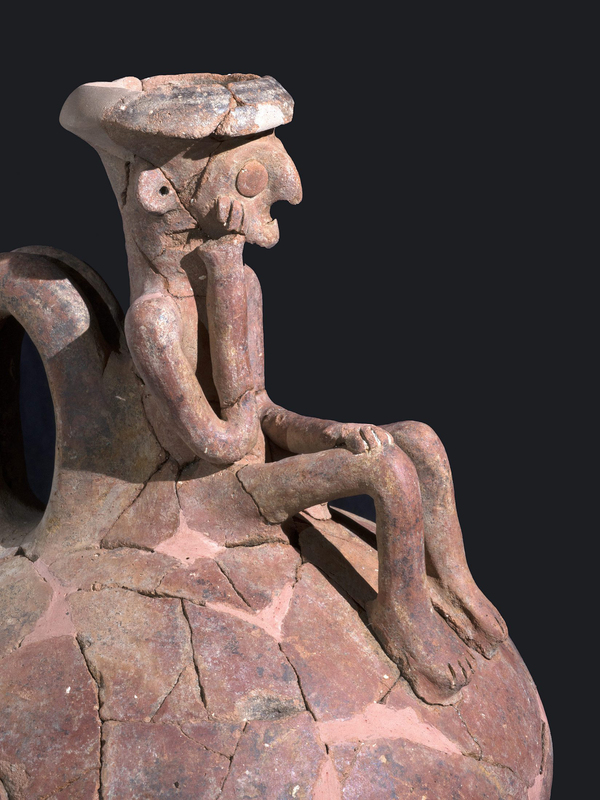 In the mid-century period, Mexico’s archaeological sites were extensively looted and it would have been difficult to scare up a genuine skull and a bunch of genuine tiles. Apparently this dentist’s work appeared in more than one museum. He’s a suspect in this case because there is evidence that some of the teeth on the skull have been tampered with, and that was obviously in his professional wheelwell. The National Museum of Ethnology is keeping the skull on display. 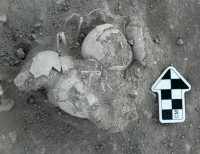 In any case, said Berger, the skull is only a “partial forgery”. Was a 14th c. queen the first to survive a caesarean? 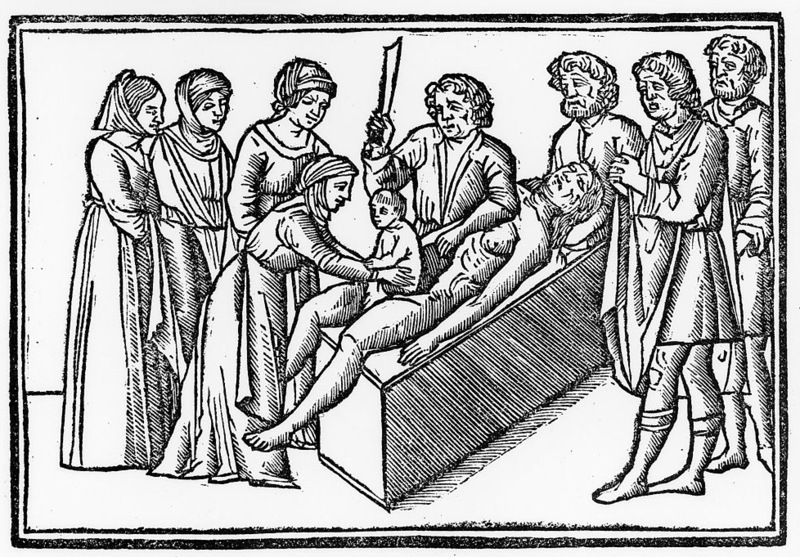 Caesarean sections have the reputation of being named after Julius Caesar because he was delivered surgically from his mother Aurelia. That is a myth that grew from a misunderstanding of the ancient sources in the 10th century. Pliny states in Natural History (Book VII, Chapter 7) that the dictator’s branch of the Julius family acquired the cognomen of Caesar because the first to bear the name was excised from his mother’s womb (from the Latin “caedo,” meaning “to cut”). In other words, the Caesars were named after the section, not the other way around, and Julius just inherited the moniker. Anyway Aurelia lived for many years after her son’s birth, and c-sections were only performed on dead or dying women because an abdominal incision was considered impossible to survive at that time. It was impossible for a very long time after Caesar, as a matter of fact. Without anesthesia, the pain from abdominal surgery would cause massive traumatic shock. If that didn’t kill you on the spot, the blood loss would. If by some miracle the mother managed to survive the immediate dangers, infection would surely finish the job. It wasn’t until the second half of the 19th century that the advances in surgical procedure — Listerism to combat infection, anesthetics like ether, nitrous oxide and chloroform to keep shock at bay — made caesarean sections a consistently survivable option for emergency delivery. There are a few reports of women managing to survive c-sections from before modern surgery. The earliest dates to 1500 and was first included as a case history almost a century later in a 1581 obstetrics monograph, L’hysterotomotokie ou enfantement césarien, by Parisian physician Francois Rousset who named the procedure after Caesar. The mother was the wife of a swine-gelder named Jacob Nufer from Turgau, Switzerland. After days of labour and with both his wife and baby in mortal danger, Nufer appealed to the town council to let him try to operate on his wife since none of the local surgeons were willing to take the risk. Assisted by a midwife and a cutter of bladder stones, Nufer cut into his wife and delivered a living child abdominally. Mrs. Nufer not only survived, but went on to have four more children. There are some records backing up the story, but there is no specific reference to the uterus being cut, so some scholars believe it was a laparotomy for sudden, acute abdominal pain rather than a caesarean. Now obstetrician and medical historian Dr. Antonin Parizek of Charles University believes he may have found an earlier case: Beatrice of Bourbon, wife of the King of Bohemia John of Luxembourg who gave birth to their son in Prague in 1337. Beatrice was very young when she married the widowed king, just 14 years old, and it was not the happiest of matches. She had no interest in learning Czech of even German and was really only able to communicate with Blanche of Valois, the wife of her stepson (and future Holy Roman Emperor) Charles. King John spent all of two months at his court in Prague with his new bride in 1336, which was long enough to impregnate her. On February 25, 1337, Wenceslaus was born. The only contemporary records of his birth that have survived are two letters from Beatrice announcing the birth in Latin. They do not mention a c-section. In fact, she goes out of her way to say that her son was born “salva incolumitate nostri corporis,” an unusual phrasing which directly translates to “without breaching our body.” The health of the mother is almost never mentioned in comparable announcements from 14th century from members of the Luxembourg and Bourbon dynasties. The focus is on the child. It’s odd that she even went there. Parizek believes her insistence that her body was intact was a response to rumors of surgical intervention in a difficult birth. Beatrice had to yet to be crowned Queen of Bohemia, and there was a strong association of the bodies of rulers, chosen by God, as physical manifestations of their souls and as symbols of the church. A large slice across the gut through which the king’s son had had to be fished out did not fit the mold of sacred and inviolate royal bodies. If Beatrice really did survive a caesarean in 1337, it was a perfect storm of very good luck for her and the future Duke of Luxembourg, her son. Prague was a center of education, but also of the medical care of the royal family. In light of the health of John of Bohemia [– he suffered from ophthalmia and was basically blind by the time he married Beatrice –] a number of the most educated physicians of the time were present around the king. It can be presumed that they had the skills for the procedure, that is, cutting out a fetus from a dead or dying pregnant woman. Considering what we know, it can be rejected a priori that it was a case of deliberately saving the mother. In fact, the abdominal removal of the child from an apparently dead mother could partly explain the event described. If that is indeed what happened, then with likelihood bordering on certainty Beatrice of Bourbon was considered to be dead when the procedure occurred. One explanation could be seizures as a complication of eclampsia. The cut would have had to be made immediately after the onset of such a state. The pain from the operation may have been the reason for a change in consciousness or awakening, and the stress reaction of the mother could also hypothetically explain why she did not bleed to death. Suturing of wounds, especially of the abdominal wall, was a completely unknown procedure at that time. And that later complications did not arise from the non-sterile environment the operation was performed in push this hypothesis to the edge of reality. On the other hand, there is written evidence that using similar methods, with no anesthesia, surgical hemostasis or antiseptic conditions, the first experiments removing children through the abdomen after labor lasting several days were performed in the 17th to 19th centuries, and almost always in a home setting. It was very rare, but some women survived these operations. Beatrice never had another child, which is another tick in the caesarean column, but she ended up outliving her first husband, who died in a famous charge against the English at the Battle of Crécy in 1346, by almost 40 years. Blind and 50 years old but still keen to fight, John tied his horse to his knights’ and rode fearlessly against the enemy. His was the only charge to break through the English lines, and the English killed them all. Beatrice also outlived all of her stepsons and even her son Wenceslaus, albeit only by 16 days. You can read the whole fascinating paper published in the journal Ceska Gynekologie in English here. It touches on the history of c-sections, surgery, sutures, anesthetics and antiseptics, as well as on the specific case of Beatrice of Bourbon. Archaeologists with the Norwegian Institute for Cultural Heritage Research (NIKU) have discovered the foundations of the church where the Viking king Olaf II is believed to have been buried after he was canonised. 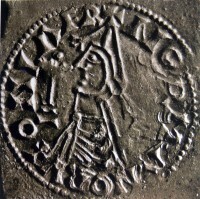 King Olaf II Haraldsson, credited with introducing Christian law to Norway, was killed in nebulous circumstances in 1030. The earliest chroniclers reported that he was assassinated either by his own men or in an ambush, but later accounts give him a more glorious death at the Battle of Stiklestad on July 29th, 1030. He was buried in Nidaros (modern-day Trondheim) and very quickly stories sprang up of miraculous occurrences at his grave site. A year after his death, Bishop Grimkell, one of several English missionary bishops reputedly brought to Norway by Olaf, exhumed his body and found it miraculously uncorrupted. Grinkell declared Olaf a saint and his body was translated to a place of honor above the high altar of St. Clement’s church, a wood stave church Olaf had built a few years before his death. The local canonisation was confirmed by Pope Alexander III in 1164 and Olaf became an official Roman Catholic saint. Olaf’s body was moved again some decades later to Nidaros Cathedral, a larger and more glamorous site that could accommodate the increasing number of pilgrims dedicated to the cult of Saint Olaf. Over time, St. Clement’s was destroyed and its location forgotten. 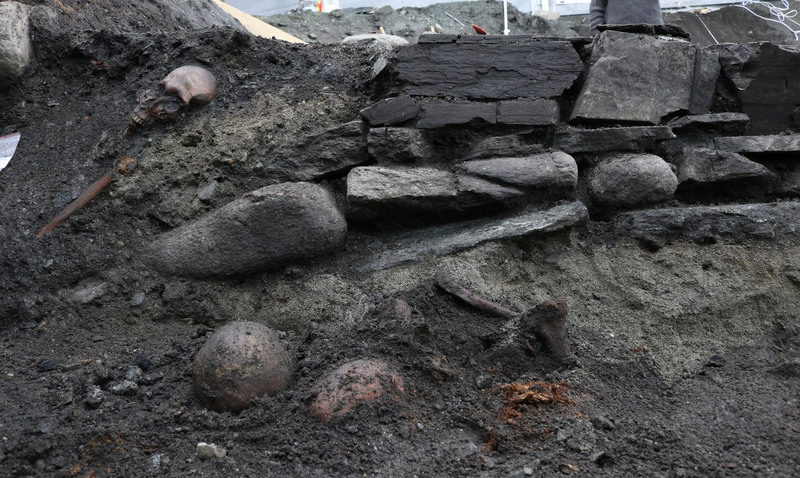 Now it seems it has been rediscovered during an excavation on Søndre gate street in Trondheim. The Norwegian Institute for Cultural Heritage Research team discovered the stone foundations of a wooden stave church. Preliminary dating indicates the structure was built in the 11th century. 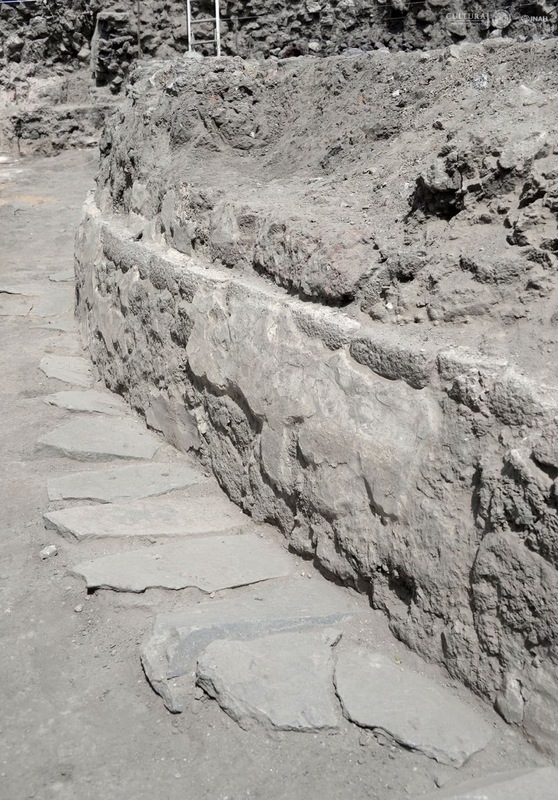 During its excavation, the archaeologists uncovered a small rectangular stone-built platform at the building’s east end. This is probably the foundation for an altar – probably the very same altar on which St. Olaf’s coffin was placed in 1031! In addition, a small well has been found here which may be a holy well connected with the saint. 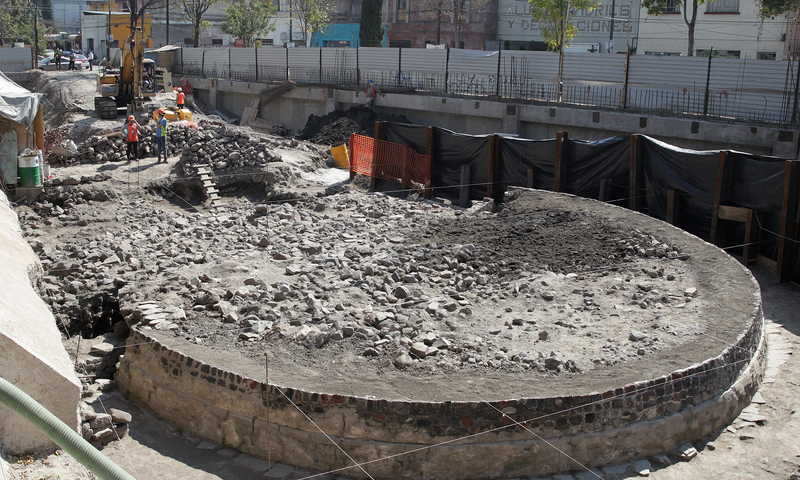 NIKU has created a series very cool 3D models illustrating the progress of the excavation. In 2010, archaeologists from the University of Pisa excavated the tomb of the powerful Guinigi family in the San Francesco Monastery at Lucca. Scions of the wealthy family of merchants and bankers had ruled the city of Lucca from 1392 until 1430 as capitani del popolo (captains of the people, ie, dictators), and even after the family was overthrown and the Republic reinstated, the Guinigi remained one of the most prominent families in Lucca for centuries. In 1358, the Guinigi Chapel was built near the convent of San Francesco. The bodies of family members were buried in the private chapel through the first half of the 17th century. Instead of being interred in separate areas, the remains were laid to rest in two large collective tombs. 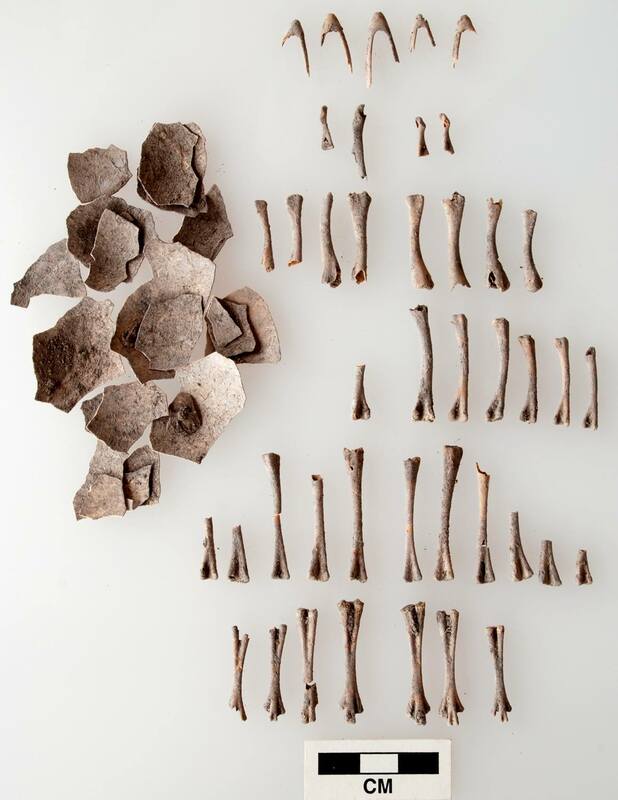 Over the years the bones were shifted around to make room, so when archaeologists excavated the chambers, the remains of more than 200 people were disarticulated and commingled making it impossible to reconstruct the skeletons of individuals. Because it was found in the earliest layer, it may date to as early as the 14th century, but it would have been very easy for the dentures to fall through successive layers of bones, so stratigraphy is of no help in dating the piece. 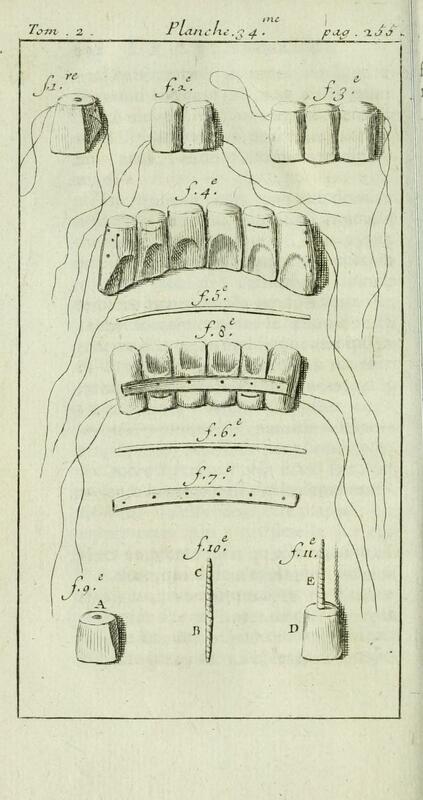 This was highly advanced dentistry in Early Modern Europe. The gold band technology was mentioned in period sources from Guy de Chauliac (ca. 1300-1368), the French physician who first recognized there were two kinds of plague, Bubonic and Pneumonic, to Pierre Fauchard (1678–1761), the father of modern dentistry. The dentures found in the Guinigi predate Fauchard by at least a century, but they are notably more complex than the device he describes. 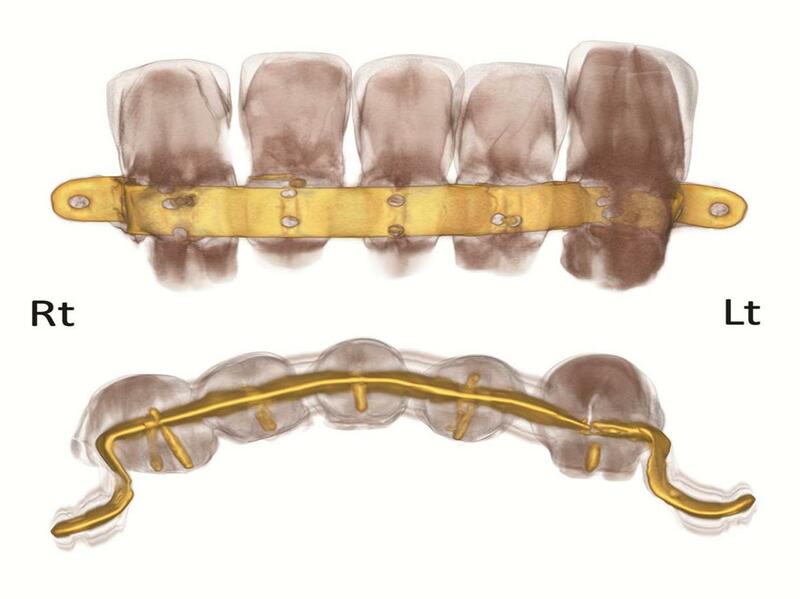 The gold band runs inside the roots of the teeth, fastened with pins and the appliance is anchored to in situ teeth with those s-shaped ends. Fauchard just attaches a band to the lingual and buccal surface of the teeth using strings run through holes drilled into the teeth. The study of the dental appliance has been published in the journal Clinical Implant Dentistry and Related Research. It is not, alas, freely available for perusal, but if you have an institutional subscription or six bucks to spare, you can enjoy some more detailed images of the holes, gold band and dental plaque. After 17 months of renovations, the Dutch National Museum of Antiquities in Leiden opened their new Egyptian galleries on November 18th. As part of the remodelling project, the museum installed 3D visualisation stations so visitors can explore mummies in the kind of extreme detail that would be otherwise be impossible. 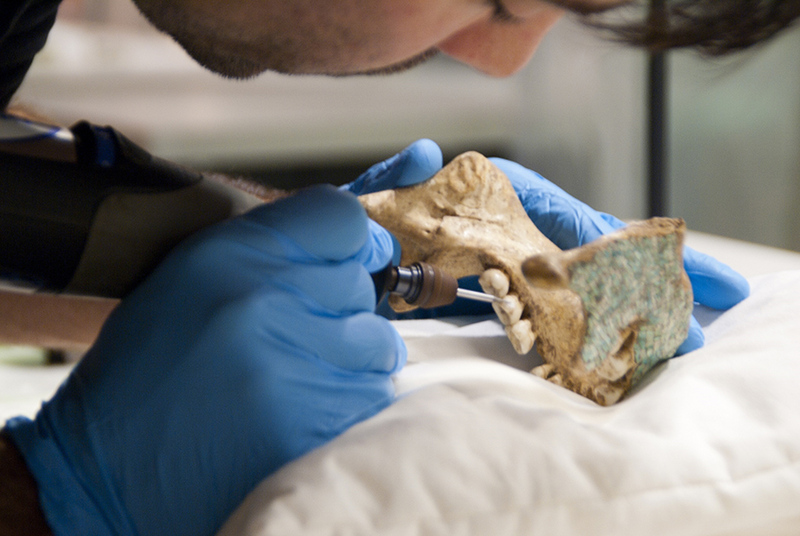 The system uses high resolution CT scans to create composite models of mummies in the collection that museum visitors can virtually unwrap on a touch screen. They can peel back every layer, examine the mummies’ features and the amulets placed in the linen wrappers from every angle. It’s the same principle as the extremely cool virtual autopsy table the British Museum created for Gebelein Man. 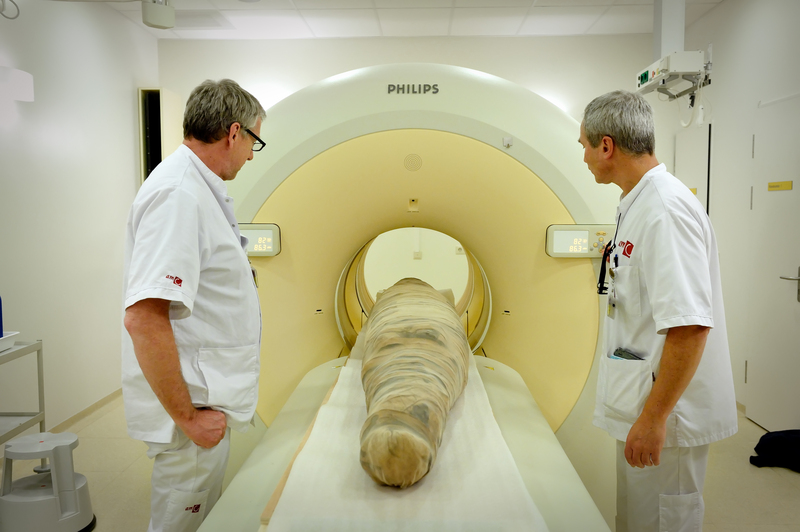 During the renovation, the museum worked with Swedish visualization company Interspectral to scan their mummies and create the virtual models. One of the mummies scanned appeared to be that of a giant crocodile, a representation of the crocodile god Sobek that has been in the museum’s collection since 1828. A scan in 1996 had already determined that it wasn’t one huge crocodile, but rather two adolescent crocodiles, one larger, one smaller, positioned tail to snout and then wrapped as one. 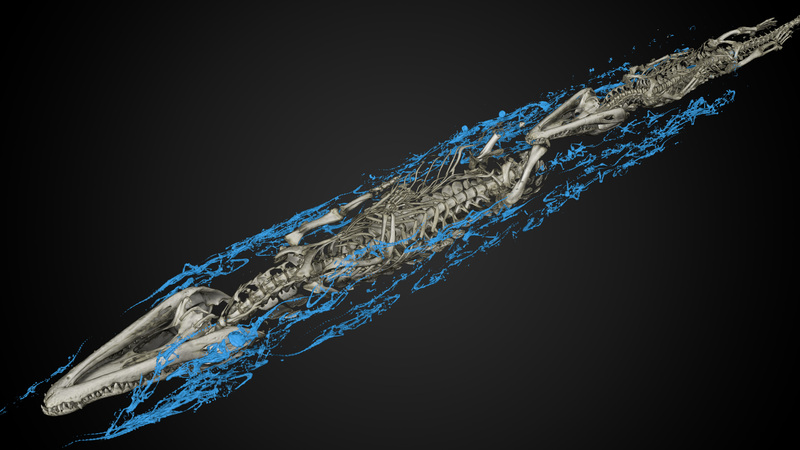 Because of the earlier scan, curators weren’t expecting to discover any new information about the mummy, but the high resolution technology revealed that there weren’t just two crocodiles wrapped in linen; there were 49, 47 of them hatchlings. Each of the babies was individually wrapped in linen bandages, placed around the adolescent crocodiles and the whole lot were bound together with palm rope to create the impression of a single 10-foot crocodile mummy. Scans have found baby crocs mummified with adults before — as with this Sobek mummy at the British Museum, for instance — but only one other example of baby crocs wrapped with adults in a palm robe binding is known. The museum’s Egyptologists suspect that the crocodiles of different ages were mummified together as a reference to the ancient Egyptian belief in rejuvenation and new life after death. Another possibility is that no large crocodiles were available at a time when they were needed as offerings to the gods. The mummy was given the shape of one large crocodile with various kinds of stuffing: bits of wood, wads of linen, plant stems, and rope. The museum doesn’t know where the crocodile mummy came from. 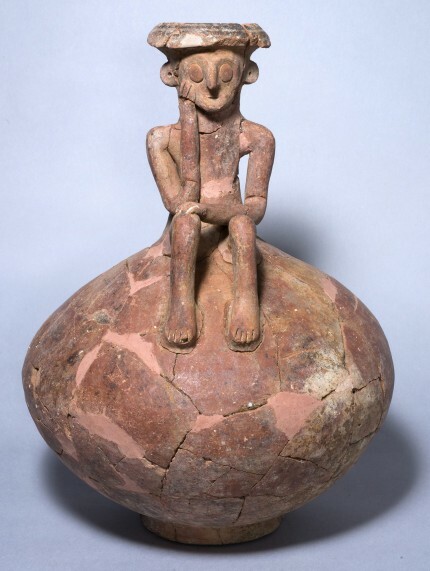 Faiyum is a likely candidate because it was a center for the worship of Sobek and the Nile crocodile. Because the sacred crocodiles were bred and raised specifically for mummification and dedication to the deity as votive offerings, it’s possible the hatchlings were related. Crocodiles lay around 50 eggs at a time, so this may have been a single litter.